Contestants in "The Werewolf Game" have to kill each other to win. These contestants have experience in similar slaughter games. 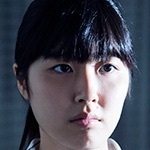 Ranko Takano (Seika Furuhata) is one of the participants. She takes part to help a family mired in dept. New positions of "Cupid" and "Lover" are added.